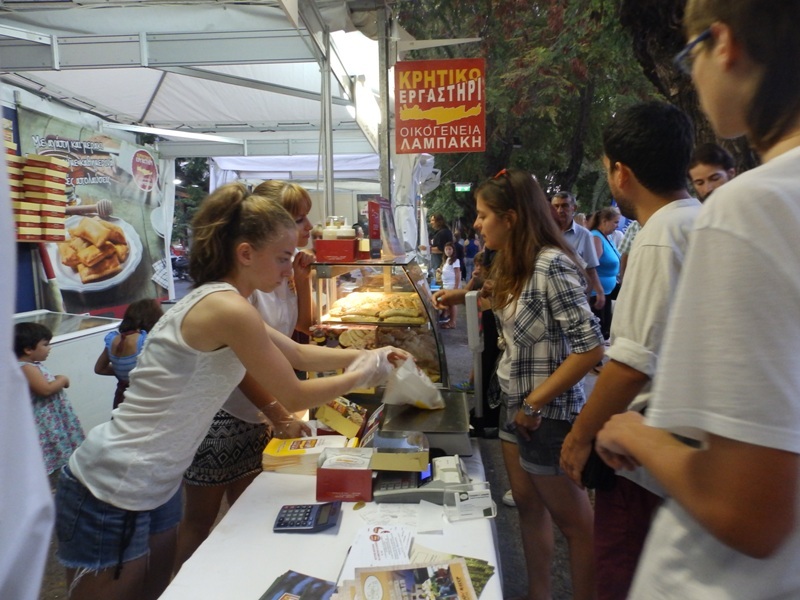 Tastes and smells of Crete “flood” these days Square 1866, in the center of Chania which has set up the “Agricultural August” attracting thousands of visitors. This year, the stands are only 25, so the organization does not remind at all the previous 16 years has “in” the institution back. 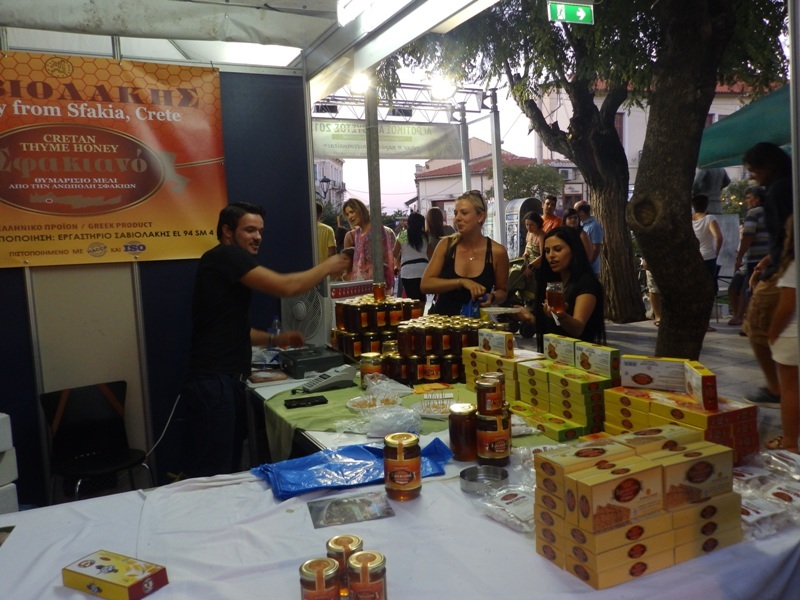 But first, the kiosks have strictly and only products directly related to agricultural production in Crete, standardized and legally. 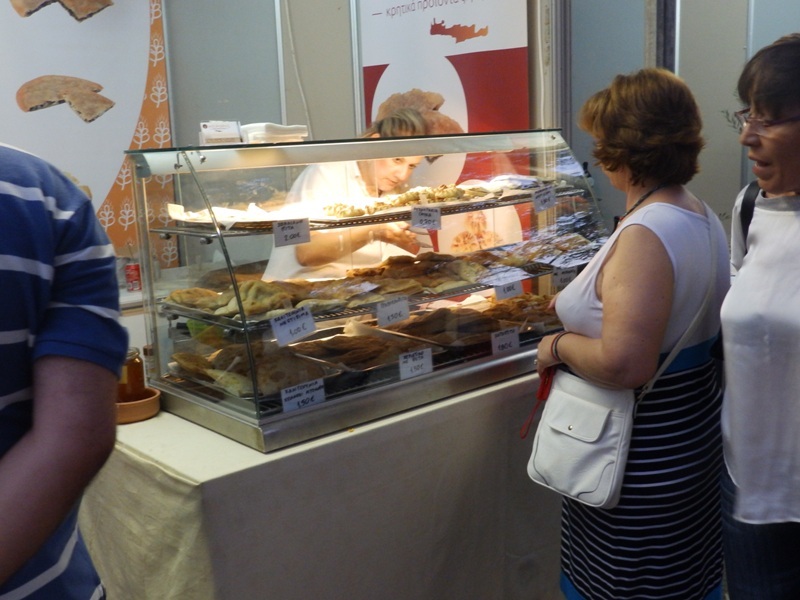 Thus, visitors can taste and buy freshly kalitsounia and sfakianes pies, nuts and Cretan gruyere cheese, honey and tsikouidia with various flavors, try creams and cosmetics from olive oil, to be informed of the mold and its products DEDISA. Speaking at zarpanews.gr exhibitors so far assess positively the attendance, as the central point and a passage for Chania and visitors. However, several passersby commented negatively selecting the square because of the shortage on the pavement and the risk of the fences of trees. The exhibition is open from 10 am to 10 pm, on the last Friday until Tuesday, September 1. Every night, music nights are organized on the square while planned and parallel tastings and workshops on biological and certification.